People notice a well-aligned smile before any other physical feature, research says. Are you satisfied with the look of your teeth? 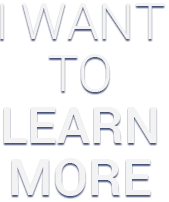 If not, consider Invisalign clear aligners from Kent Dental Care. Adults and older teens with mild to moderate orthodontic issues qualify for Invisalign clear aligners. Your dentists at Kent Dental Care–Drs. 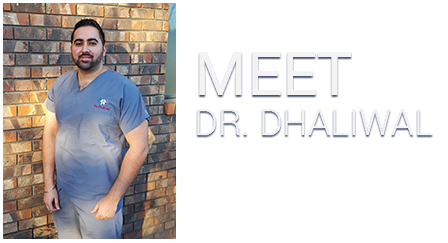 Ronald Hainer, Manpreet Dhaliwal and Navi Kaur–carefully evaluate their patients through oral examination, x-rays and other sophisticated imaging techniques such as a CT scan. In fact, Invisalign candidates can preview what their finished smiles will look like after they complete their treatment. The Invisalign system itself avoids the metal brackets and archwires of traditional braces. Instead, the patient wears 18 to 30 pairs of BPA-free acrylic aligners that fit snugly over top and bottom teeth. Gradually, the aligners move teeth into better-looking positions that are healthier, too. Well-aligned teeth are easier to keep clean, and cleaner teeth are far less prone to gum disease and cavities. Invisalign clear aligners change tooth alignment in as little as 9 to 18 months, a much shorter time than traditional orthodontics While not appropriate for complex cases, Invisalign helps most patients without the embarrassment of wire braces, and eating and at-home hygiene is easier, too. 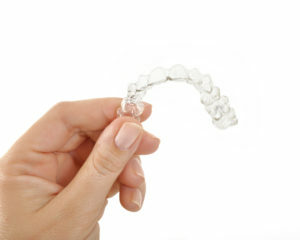 Patients remove their aligners for brushing, flossing and eating. And, although these custom-made appliances are practically invisible, patients may opt to remove them for special occasions such as weddings, proms, job interviews and professional presentations,. Additionally, individuals spend less time at the dentist’s office with Invisalign. They come to Complete Dental Care every 4 to 6 weeks for fast progress checks and to pick up their next sets of aligners. For teens, the aligners may be equipped with colored compliance tabs that tell patient, parent and dentist if the patient wears his or her appliances for the correct amount of time each day. Typically, patients wear their Kent clear braces 20 to 22 hours a day. Then, at the end of treatment, they switch to wearing retainers daily for a short prescribed amount of time. Retainers ensure newly straightened smiles do not drift back into their previous positions. Invisalign recommends using their custom-fabricated brand of retainers called Vivera. Would you like a new smile? Millions of individuals have changed their smiles and their lives by undergoing treatment with Invisalign. Would you like to be one of them? Contact the office staff at Complete Dental Care for a smile analysis and find out more details.